The new update is v6.15, and here's the full changelog. Local Playback: support for Plex Companion and Chromecast, including on-device audio transcoding. External subtitles are now tagged correctly. ExoPlayer v2: direct play could fail with certain external subtitles. [Mobile] Continue watching hub was being displayed incorrectly. [Mobile] Collection hub names are missing on pre-play. [Mobile] Update text for login with email to avoid confusions. [TV] Improve recording priority reordering. [TV] App could crash when filtering by resolution. [TV] Keep video player open whilst screensaver is active. You should have an overall better experience dealing with video stored locally now. Audio transcoding works on your phone, which is impressive. 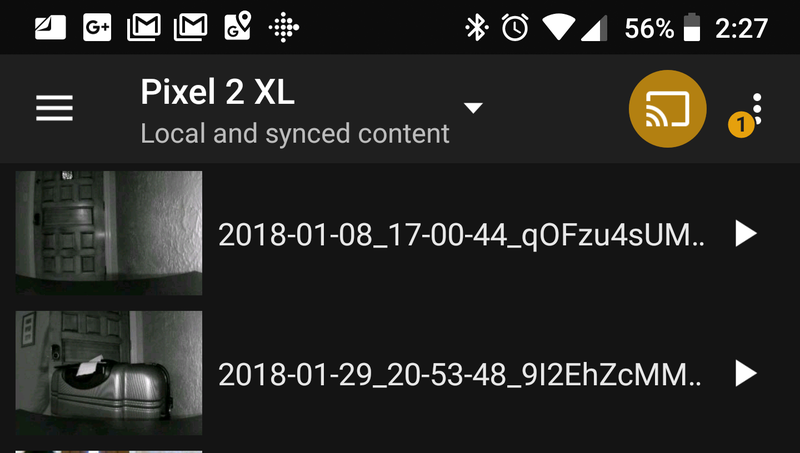 All your local files can also plug into the Chromecast functionality. In older builds, there was no Cast option for local content. Now, you can beam content straight to a Cast target. The update also includes the usual raft of bug fixes and smaller tweaks. You might see the updated app in the Play Store already, but it'll be live for everyone over the next day or two. If you can't wait, we've got it on APK Mirror.